Thank you Bluefalchion. For the steel, I use GW Boltgun Metal + dark brown wash + silver highlightings. For Gold, I use Revell enamel gold + dark brown wash + Revell gold highlightings. 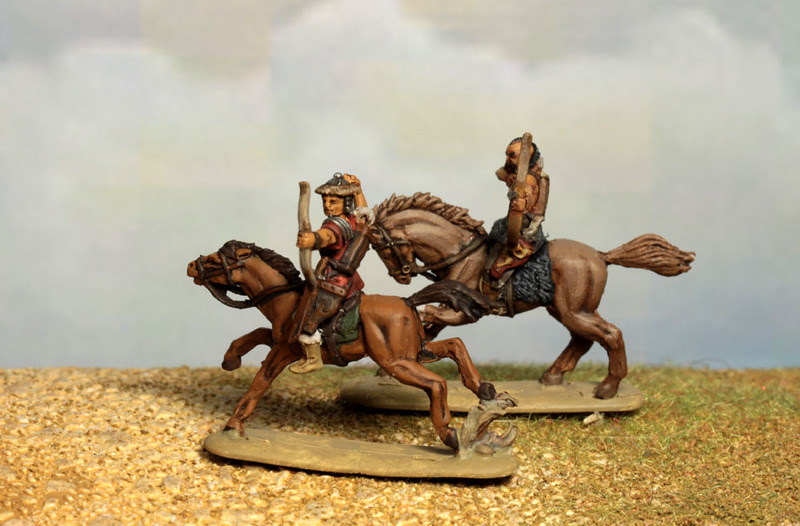 More riders, horse archers this time: the Equites primo sagittarii. 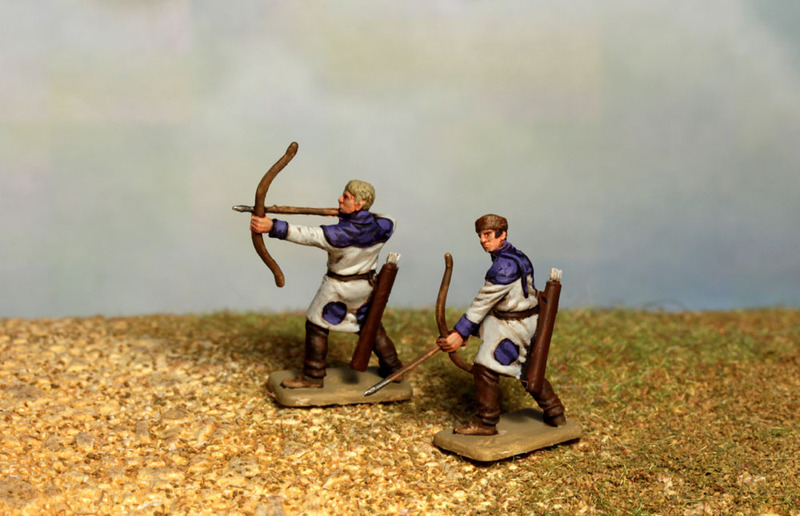 And the archers scouting in front of the cavalry line. PhilC wrote: Hi everyone and a happy new year! 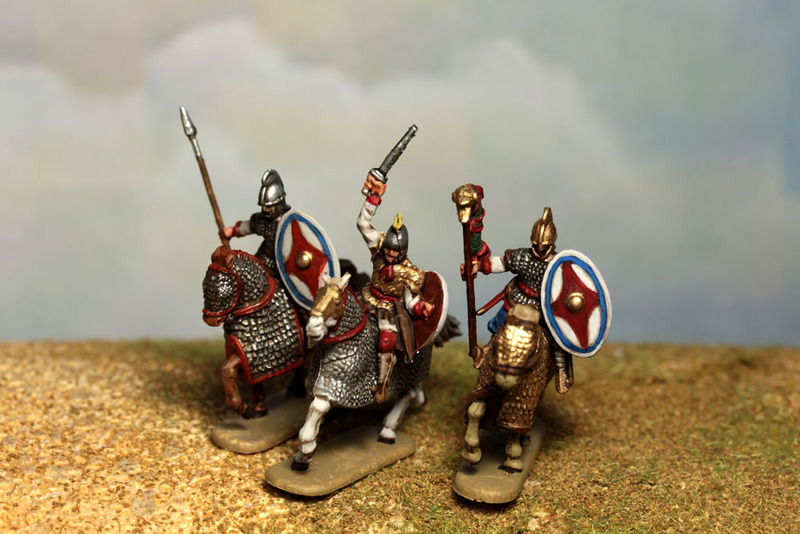 This year, I promised myself to finish the current projects (but not to start new ones before the old ones are completed ), so I began to paint heavy cavalrymen for my Late Roman army: the Equites Constantiani feroces (as proposed by Chariobaude). 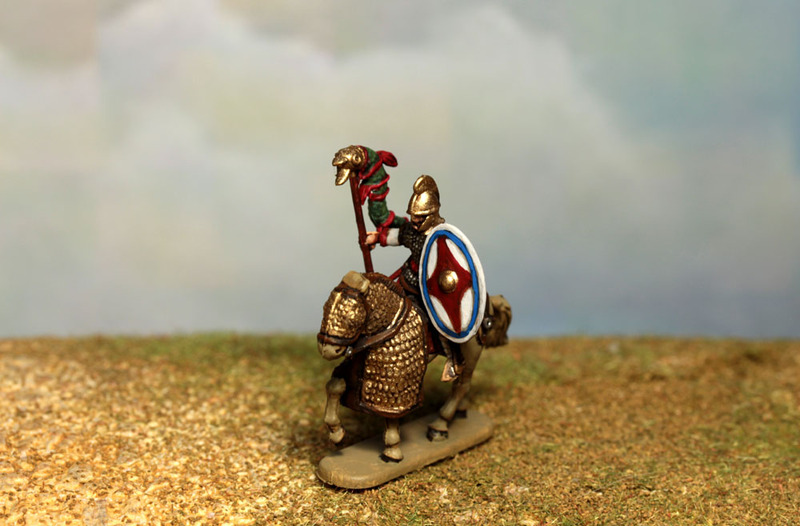 Minis by Hät - I like them a lot, in spite of the soft plastic - not easy to remove the mold lines, but it proved very easy to paint. Other riders coming soon ! When I find some time, I will take pictures of the whole. Very nice to see these! have read some books about that period and it is quite interesting so it is very nice to see your nice figures too! And, no, I will never get fed up! I really like to see your project getting more and more complete! - to base them all !!! It´s always a pleasure to follow your growing army. 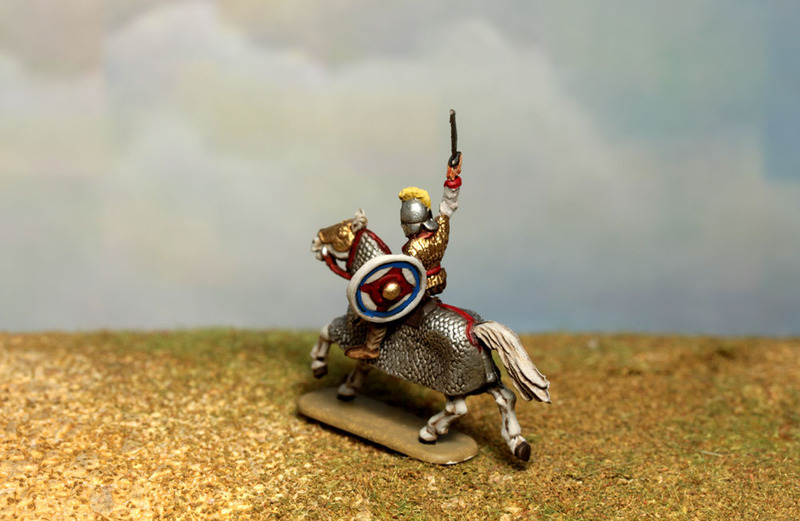 What makes your project to create still more own sculpted figures? chose promise chose due ! As i promised, here my 24 equites constantiaci feroces ! Excellent! Your painting skills increase with each set you paint. I guess you had a post on your blog about this unit ? I go to check.